Discover more about the Hanois Lighthouse, which warns ships away from Guernsey's dangerous coastline. At low tide the jagged peaks of the Hanois and its companion reefs can be seen, but at high tide many of these are hidden beneath the water. 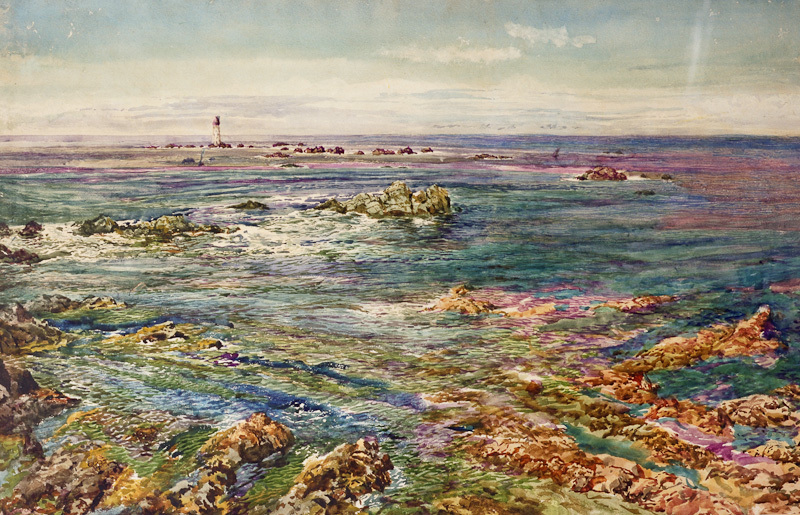 The wreck of the Boreas, with its tragic loss of life, served to highlight the dangers of Guernsey's west coast and the need for a light on the Hanois. 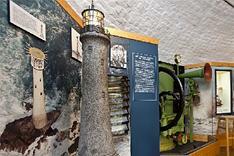 After many years of negotiation, the foundation stone of the lighthouse was laid by the Bailiff of Guernsey in 1860. The first official lighting took place on 8 December 1862. It stands 30 metres high and is made of Cornish stone blocks which were dressed by Cornish workmen on the Castle Comet emplacement before being towed on barges to the Hanois. The builders were accommodated in Fort Grey between work, which was frequently stopped due to high seas. On one occasion five men were swept off the rock and half-drowned. Today the Hanois light, a bright flash every forty-five seconds, still acts as a warning to passing ships. The lighthouse was once manned by two crews, each of three men working a four-week tour of duty. It is now fully automated and has a helipad fitted above the lantern. 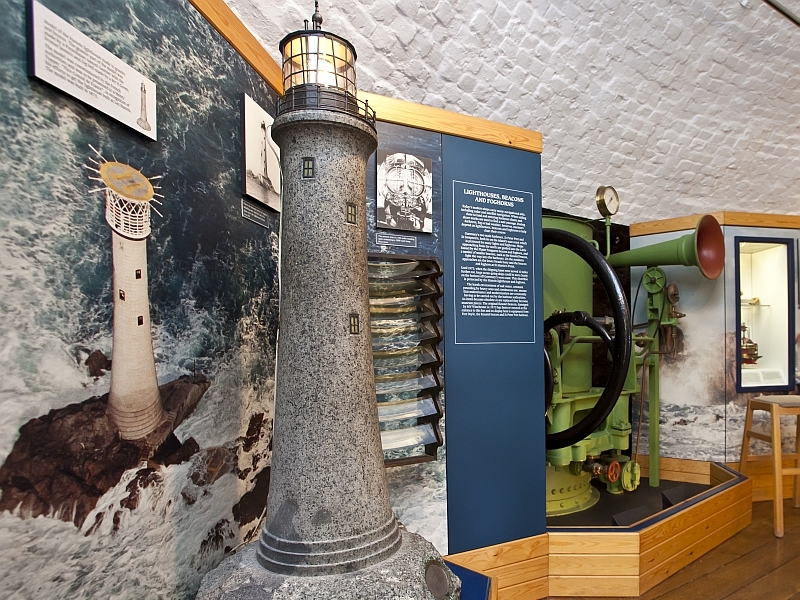 A 1m high model of the Hanois lighthouse, carved in solid Guernsey granite is on display at Fort Grey and is illustrated above. It was presented to Henry Tupper in 1875 by the French residents of Guernsey and is complete with scale lantern that flashes in synchronisation with the Hanois light.